Although scuba diving’s never quite been the same sort of travel motivation force to me as snowboarding has, it’s something I love to do whenever I visit a place where it’s available. Or in other words, I won’t travel to (or live in) a country specifically for the diving (as I do with snowboarding), but it is one of the things I love to do while travelling. I actually first tried scuba on an intro dive during a family holiday in the Greek Islands as a teenager. In terms of fish it was unspectacular, and of course there was no coral – we mostly just saw seaweed, rocks, and sand. But it was cool to experience breathing underwater for the first time, and we’ve got some amusing photos at home somewhere. 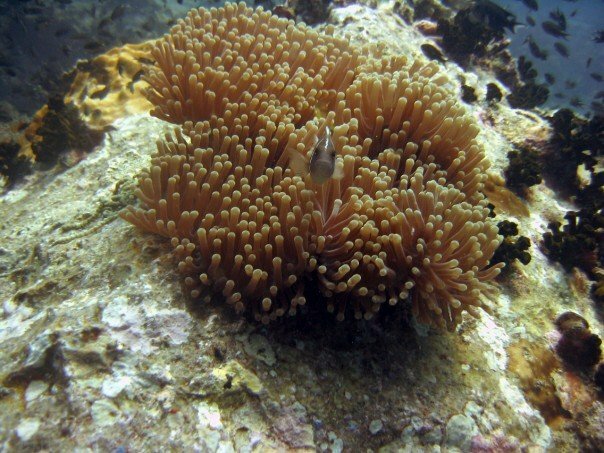 I properly learned to dive a decade or so later, during a big backpacking trip around Asia with my good friend Danny. 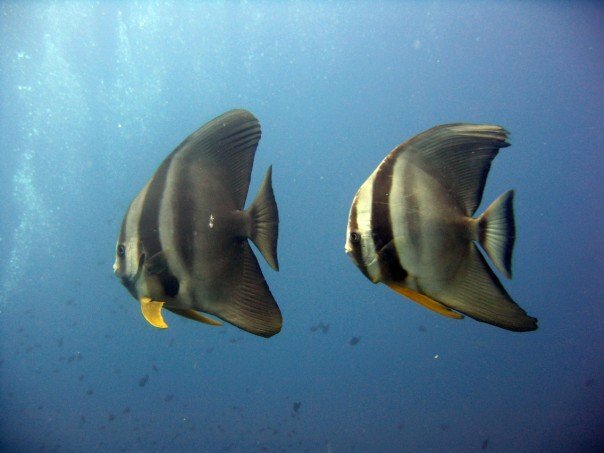 We did our PADI Open Water in Ko Tao, the classic backpacker’s scuba & party mecca; I know now that the diving there isn’t actually all that fantastic, but it was great place to learn – the course was fun & affordable, and though the class was large (8 students, which is the maximum), our instructor was excellent and had a highly competent dive master as his assistant. And of course Ko Tao’s also a great little island for chilling on the beach or partying through the night. Since then I’ve done sporadic dives here & there, including getting my Advanced Open Water in Honduras’ Bay Islands, a cavern dive in Mexico, and wreck dives in Australia, Indonesia, and Malaysia. The SS Yongala (Queensland, Australia) and USS Liberty (Bali, Indonesia) wrecks are surely the best two dive sites I’ve experienced.